As technology continues to evolve, so do the lives we lead - both personally and professionally. According to one study conducted by Gallup, nearly 43% of employees in the United States spent at least some time working remotely in 2016 - a significant 4% jump from just a few years earlier in 2012. 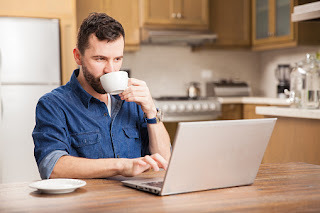 Remote work is such an attractive proposition that it has even begun to play a major role in an employee's decision of whether to work for a particular company - something that poses a number of interesting implications for their employers. Chief among them is the idea of what a "team" is supposed to be. Your employees are all important individually, but their contributions are supposed to add up to a larger, more critical whole. How is that possible when a large part of your workforce barely sets foot in the office, if they do so at all? In truth, integrating your remote workforce into your in-office one is a lot more straightforward than you might think; you just have to keep a few key things in mind. The absolute best practice for integrating your remote workforce in with your "live and in-person" employees begins and ends with you: their leader. Never overlook an opportunity, no matter how small, to bring remote employees into the fold and make them feel like they're a part of the greater good. If you start an email chain, for example, don't just include the "in-person" employees. Make sure that everyone who needs to know is involved, regardless of location. Don't hold those weekly meetings on-site and then send remote workers a summary after the fact. Embrace the benefits of teleconferencing and allow them to dial-in live and in person. If you're hosting a company get-together or are taking employees out for a well-deserved meal, make sure that you extend the invitation to those outside the office. This is especially important if they work from home (or elsewhere) 100% of the time. These are small moves, but they're also meaningful ones that help remind people that wherever they are, they are equally valued in your eyes. Another critical step to take to integrate your remote workforce better involves slightly adjusting the way your in-person teams communicate. Make it a priority to embrace instant messaging or collaboration platforms like Slack to keep team members connected together. Not only will this make in-person employees feel a bit like they're a part of the "remote" world, but the reverse will also be true. Your remote workers will feel more connected to your office as well. Always remember the one factor that matters the most: encouragement. If someone does a terrific job or blows your expectations away, acknowledge them on the most prominent stage even if they work remotely. Just because someone isn't regularly in the office or the other employees don't see them every day doesn't mean that they don't deserve their fair share of recognition. Any move that you would make to reward an in-person employee should be extended to your remote workforce. Not only will this help make them feel like they're equal contributors, but it will also go a long way towards bringing your teams together to form the cohesive whole that you need them to be.